When it comes to nutrition, fats get a bad rap (it’s been said that eating fat won’t make you fat any more than eating money will make you rich). 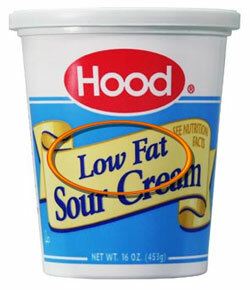 Additionally, a fat-deficient diet can lead to nutrient deficiencies (especially for athletes). It is recommended that athletes get 20% of their total calories (or 2/3 of the total fat intake) from healthy — monounsaturated or polyunsaturated — fats, and limit saturated fats to no more than 10% of their total calories (1/3 of total fat intake). 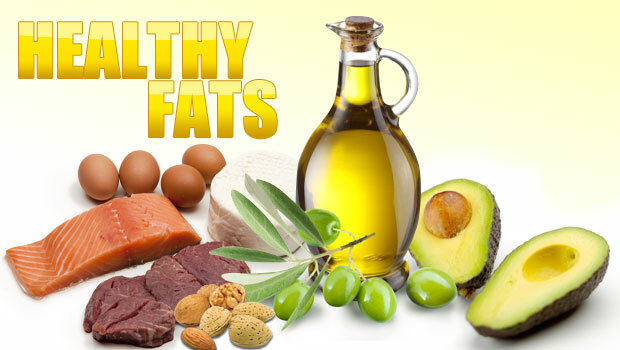 Healthy fat sources include avocado; fish (especially cold-water fish like salmon); almonds, walnuts, peanuts, and cashews; olive oil; coconut and coconut oil; Seeds; olives; peanut butter and other nut butters; low-fat dairy (milk, cheese, Greek yogurt, etc.). 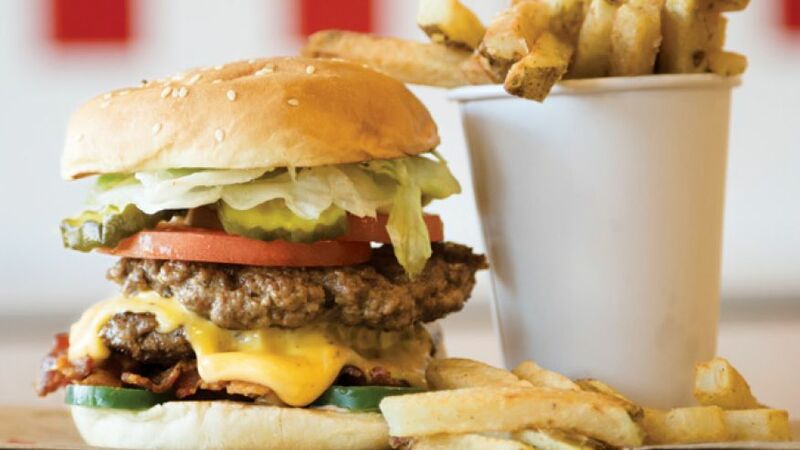 About 25 years ago, the American Heart Association (and lots of other health and wellness organizations) offered dietary guidelines highlighting a low-fat diet, in hopes of reducing our country’s alarming incidence of obesity and, ultimately, cardiovascular disease. Turns out they had it wrong, as virtually all the follow-up research has failed to demonstrate a definitive link between dietary fat and obesity. In fact, during that time the U.S. obesity rate has doubled and among children it has tripled! Eating fat won’t make you fat, any more than eating money will make you rich. The way our bodies work makes it much easier to store dietary carbohydrates as fat than either the protein or fat we eat. When you consume carbs, they are quickly converted to glucose (our body’s main energy source). The body provides the brain and muscles with the glucose they need, and stores the rest as fat for your long-term energy needs. Strength training can increase your body’s muscle demand for glucose, thus reducing your body’s potential to store these calories as fat. Additionally, research has shown the metabolic effect of resistance exercise to persist in your muscles for up to 48 hours, post-workout. However, if your caloric intake significantly exceeds your metabolic outgo — over time — you will get fat regardless of the source of your calories. A University of Alabama at Birmingham study found that meals that limited carbohydrates to 43 percent of total calories were more filling and had a milder effect on blood sugar than meals with 55 percent carbohydrates. That means you’ll store less body fat and be less likely to eat more later. Fats are needed for cognitive function (the brain is 60 percent fat). Fats protect and insulate nerves. Fats keep the heart beating in a normal rhythm. Fats keep the lungs from collapsing and cushion your internal organs. Fats provide a source of (long-term) energy. Fats help to satisfy the appetite for longer periods. 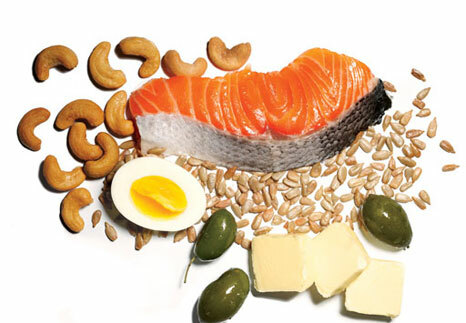 Fats enable the absorption of vitamins A,D, E, and K.
When thinking about dietary fat, limit consumption of foods high in saturated fats and include more foods with healthy, unsaturated fats, such as olive oil, nuts and nut butters, dairy, and cold-water fish like salmon. 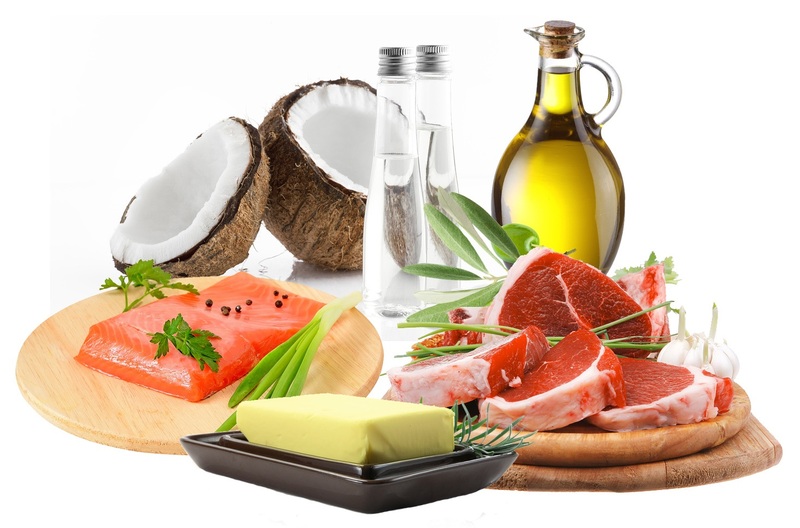 Healthy fat sources include avocado; fish (especially cold-water fish like salmon); almonds, walnuts, peanuts, and cashews; olive oil; coconut and coconut oil; Seeds; olives; peanut butter and other nut butters; low-fat dairy (milk, Greek yogurt, etc.). About 25 years ago, the American Heart Association (and lots of other health and wellness organizations) offered dietary guidelines highlighting a low-fat diet, in hopes of reducing our country’s alarming incidence of obesity and, ultimately, cardiovascular disease. Turns out they had it wrong, as virtually all the follow-up research has failed to demonstrate a definitive link between dietary fat and obesity. In fact, during that time the U.S. obesity rate has doubled and, among children it has tripled! Eating fat won’t make you fat, any more than eating money will make you rich.